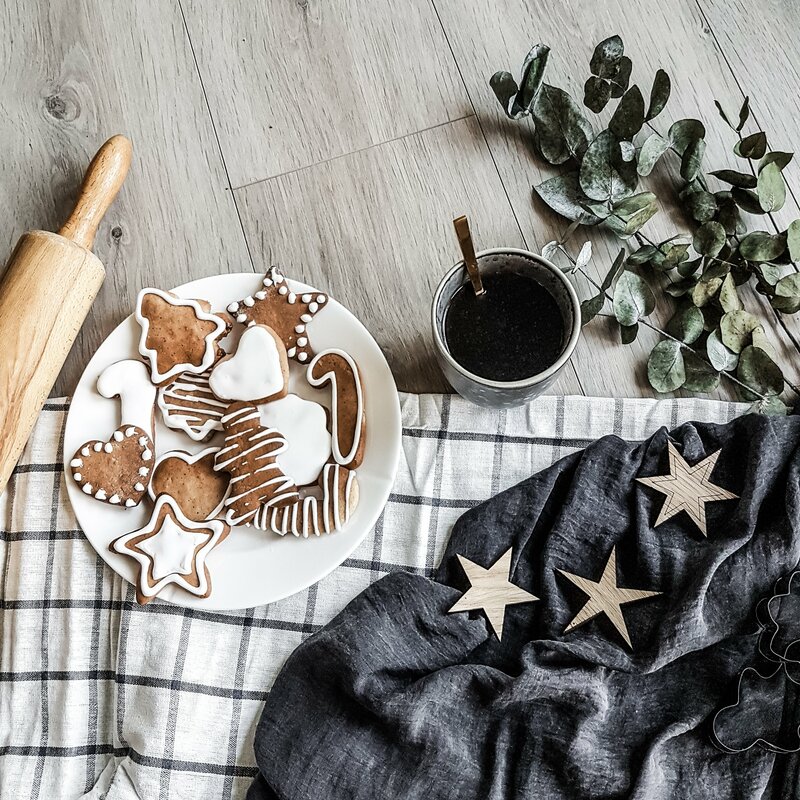 Want to bake delicious Christmas cookies ?? 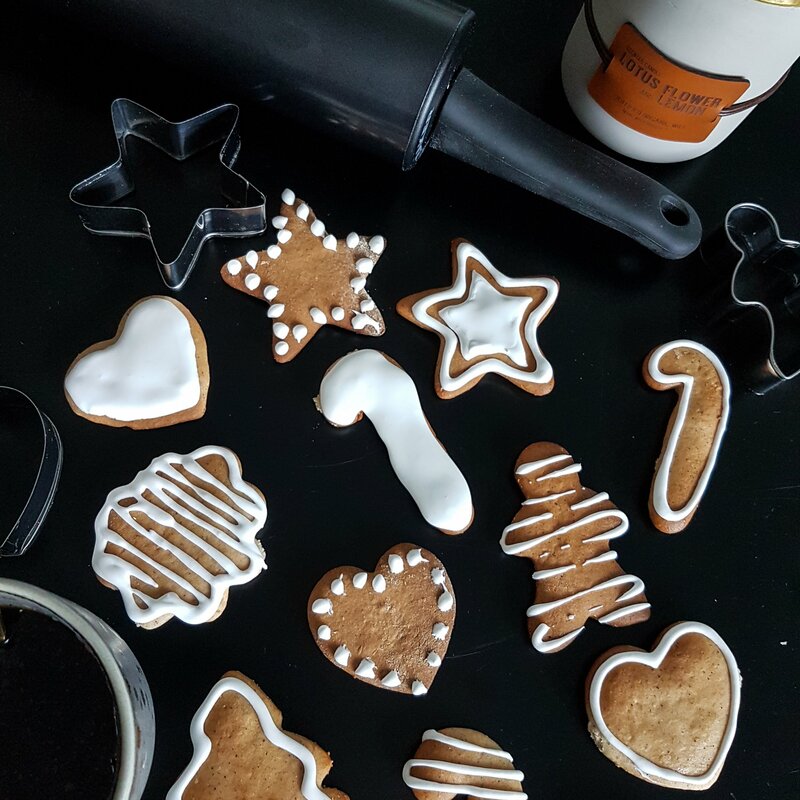 I have had a few questions on my gingerbread cookies on Instagram, so here is the recipe ? Here is what you need for around 20 cookies ? Different shapes set, to make hearts, christmas trees etc. Warm the oven to 200 degrees celcius hot air. Roll out the dough with a little flour until it is about 2-3 mm thick. 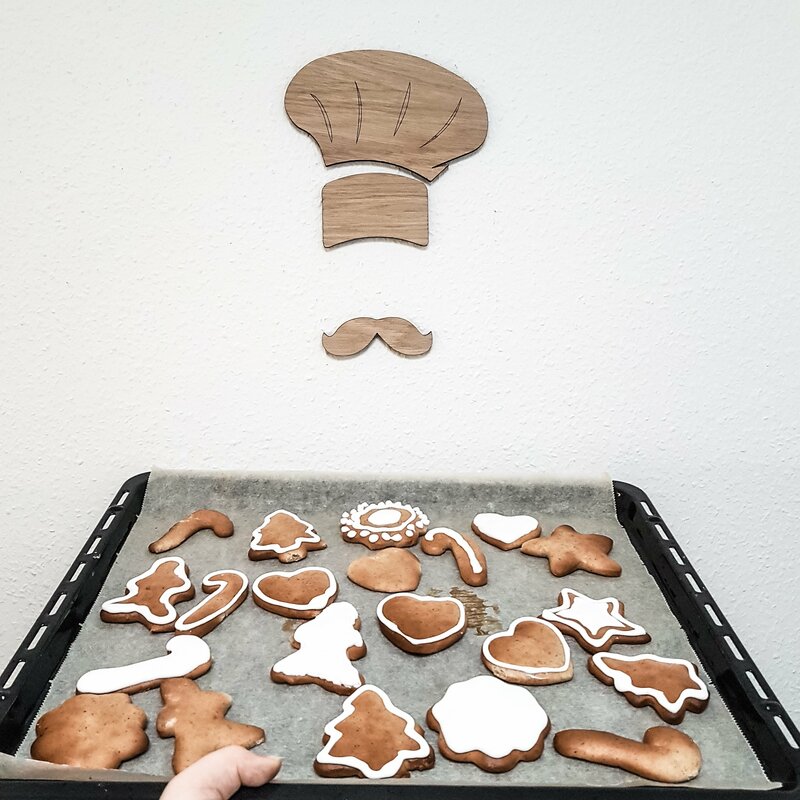 Punch out the shapes you want with your set, and place them on a baking sheet with baking paper. Bake the christmas cookies for about 8 minutes till they are golden and firm. Cool them off on a wire rack. Whip a thick frosting out of powdered sugar and eggwhite. 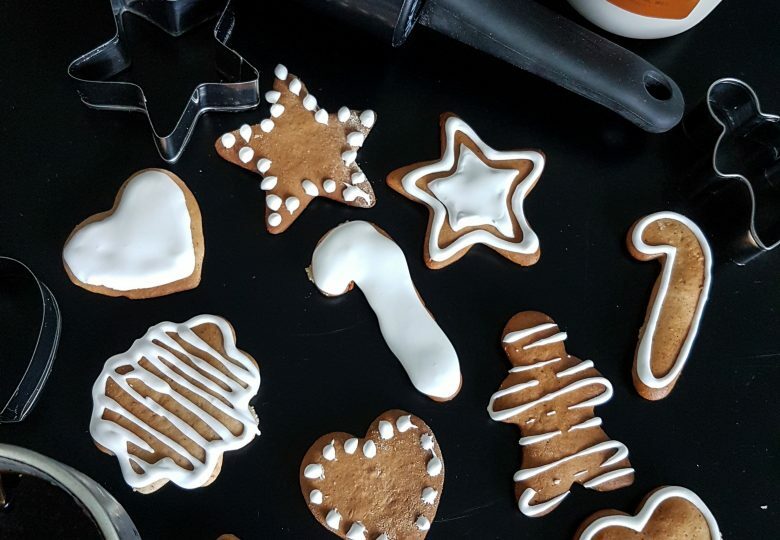 Put the frosting in a freezer bag and cut a little hole in it to decorate the cooled cookies. 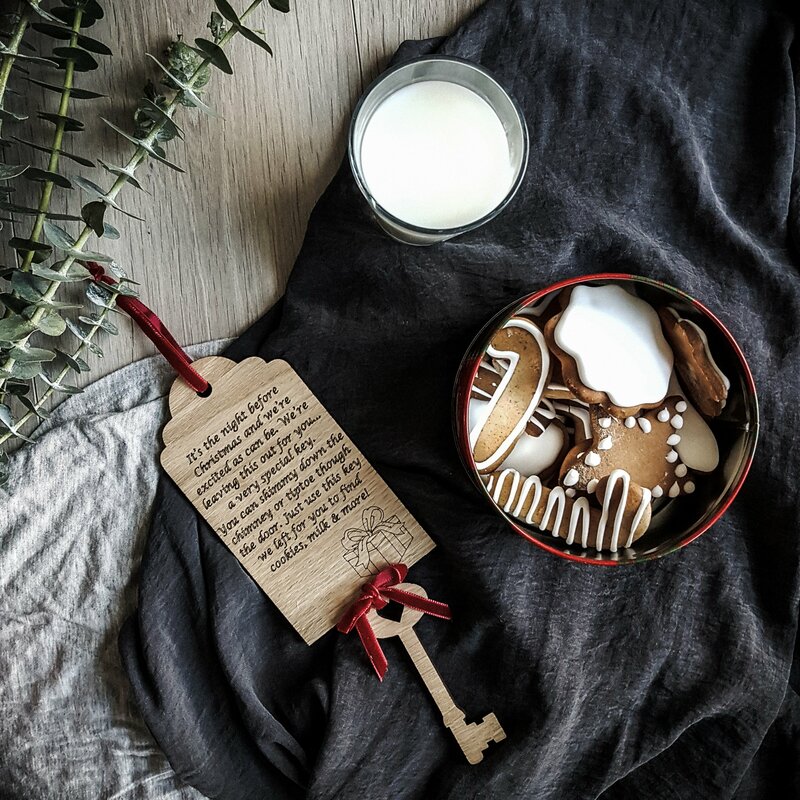 Btw, you can get the Santa’s key, stars and Le Chef here. And the scented candle here.